Idea materials you always want: durable ABS, chew proof flat ribbon and rust-resistant metal hook are long lasting for the great security , which will not break during walking and will not hurt your furry friends. Tangle free design offers enough freedom for your pets, adjustable leash can let you change a suitable size for your furry friend. 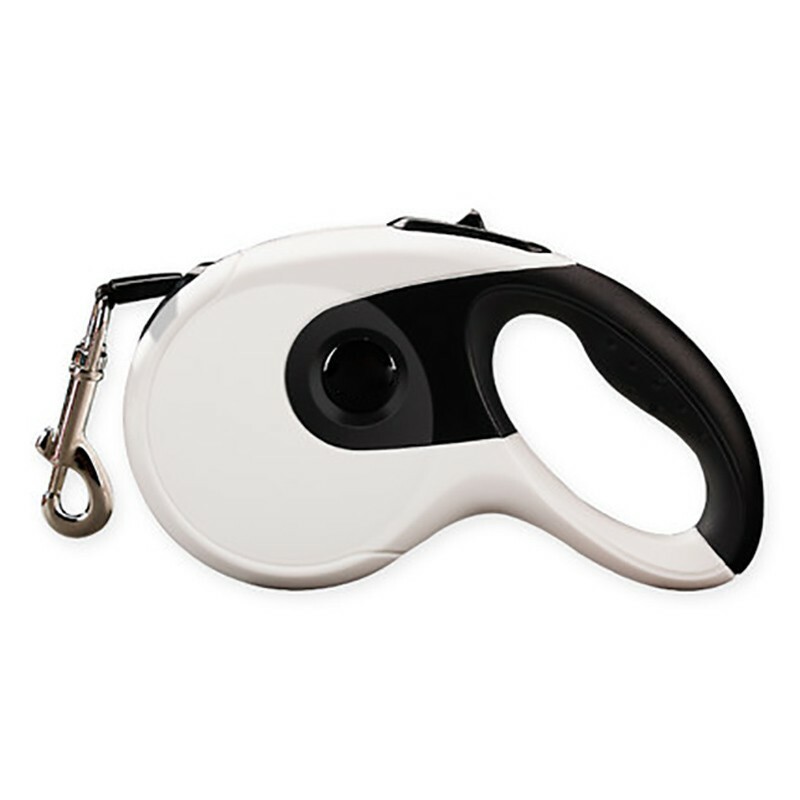 Soft handle makes climbing control comfortable. When you bring necessary tools for yourself in plane, don't forget to pack some essential things for your pet as well. Make sure you bring enough food, water(use a non-spill water bottle), and his favorite toy that release his stress in plane. Your pet might feel uncomfortable in plane especially for pets who fly the first time. So you need to try your best to make him feel comfortable. Besides, bringing some familiar things in carrier can also help. If necessary, you can use a short leash or collar for extra control to let your pet clam down. Playing with your pet can release his stress as well. Great leash, great warranty support. This leash has been great! It is Fantastic, the Retractable Leach Doesn't Jam !!! It glides smoothly, doesn't jam up like others I have purchased, and the stop retraction feature works well. It is a good leash, though a tad bulky. What I needed and seems to be working well. Love this leash and the flexibility it gives if we want our pup close by or give more room to wander. It is incredibly easy for our young children to use when walking our dog.